Although The Healing Lodge primarily serves Washington, Oregon and Idaho residents, our program is available for all tribal and non-tribal youth in need. However, there are many resources available that may be closer to your local community that can help identify needs and provide similar services. In addition to the hotlines and phone numbers below, tribal members can contact their local Indian Health Services (IHS) medical facility for alcohol and drug assessments, or get access to an assessment through state programs like Washington State’s Department of Behavioral Health & Recovery (DBHR). 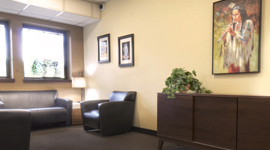 If you are looking for additional resources, do not hesitate to call us at The Healing Lodge, and we will do our best to connect you to the resources that will help you. 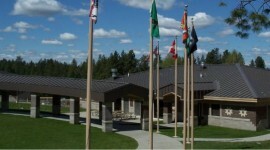 The Healing Lodge operates an alternative school on campus through Spokane School District 81 – a fully accredited state educational institution. Lobby at the Healing Lodge. 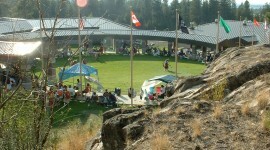 This is our front lobby at the Healing Lodge of the Seven Nations.